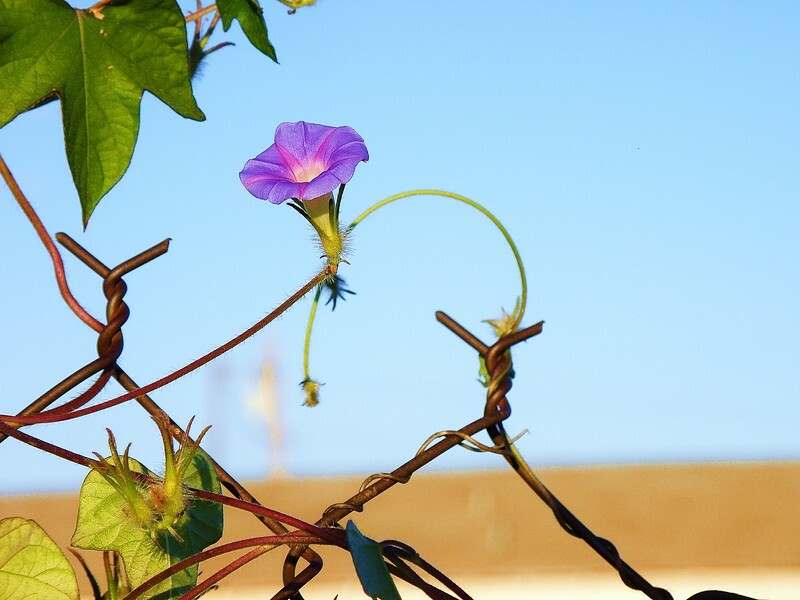 Purple vine reaching for the sun. While exploring Van Horn,Texas these beautiful wildflowers caught my eye ! 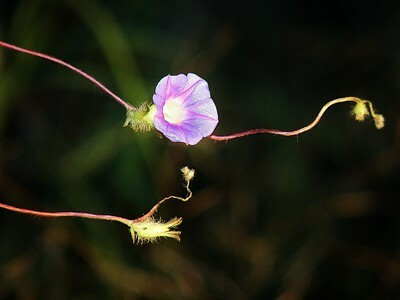 It is amazing how something so delicate can cling to a metal post ! 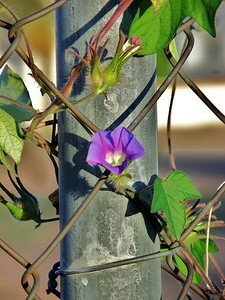 This vine is growing and wrapping itself on this 50 foot fence ! I think it will make it!